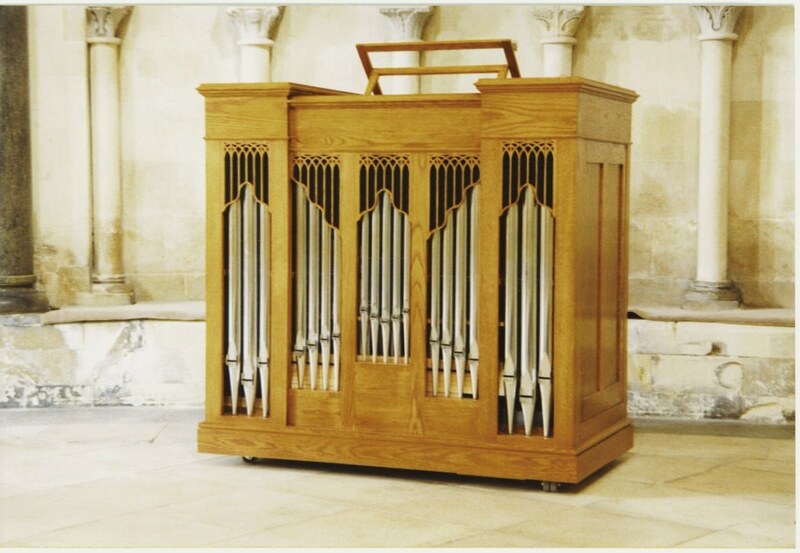 A large scale continuo organ, this instrument was built for one of the most historic and beautiful churches in London. The Temple Church lies ‘off street’ between Fleet Street and the River Thames, in an ‘oasis’ of ancient buildings, courtyards and gardens. Its dimensions are 1225mm/4′ high, 1300mm/4’3″ wide, 750mm/2’5″ deep.